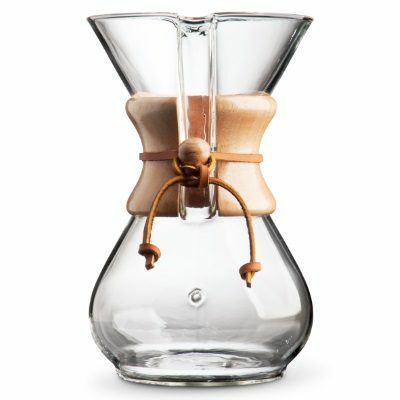 The Chemex pour-over coffee maker combines elegance with functionality. In fact it is one of our favourite ways of making a brew. 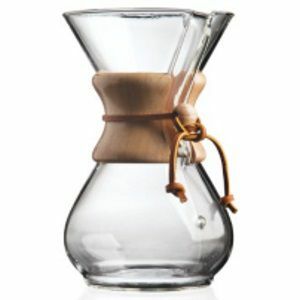 The Chemex coffee maker is made of non-porous Borosilicate glass which will not absorb odours or chemical residues. A simple, easy to use with timeless, elegant design. Some with a plush wood collar and leather tie. 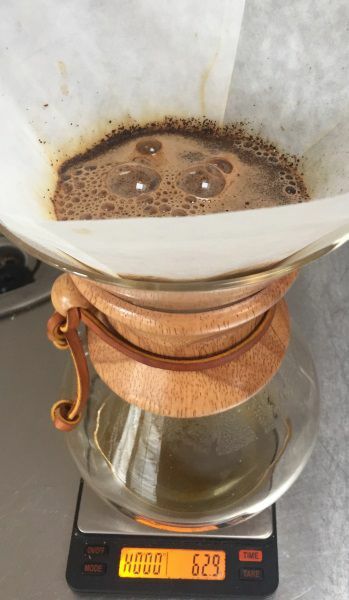 From the first time we ever used a Chemex the cleanness of the brew it produced was its stand out feature. Since then this has become the way we love to brew coffee when we are sharing. Needing a course grind the brewer takes around 4 minutes to make a brew, but it is worth the wait. Your Chemex (we will use the 6-cup in this example). 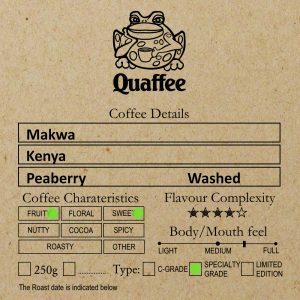 Use 6 gram fresh roasted coffee per 100 gram water – in our case we will use 36 grams. 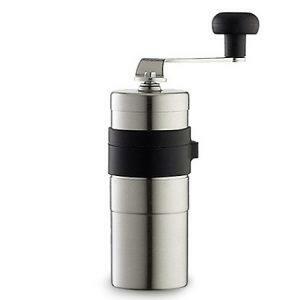 A grinder (fresh is best, do we need to even state that?). Around a litre of water. A scale (to ensure a consistent brew). Grind coffee course (course salt in texture – to course the brew will be less that 3 mins, too fine brew will be more than 5 mins). Insert the water filter with the thick side toward the spout. 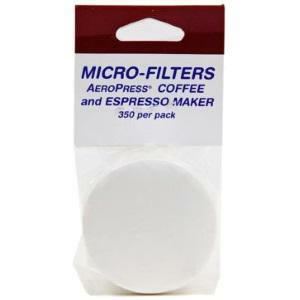 Pour around 300 grams of water through the filter making sure you wet it all over. Now add the ground coffee. 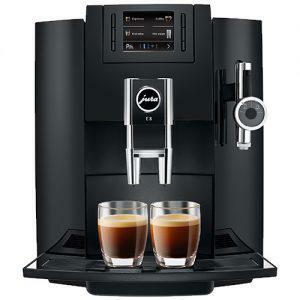 Gently pour 90-108 grams of water over the ground coffee, making sure you wet all the grounds. The total time should be less than 4 mins. For floral and fruity coffees try reduce your dose of coffee. For more body increase the dose. 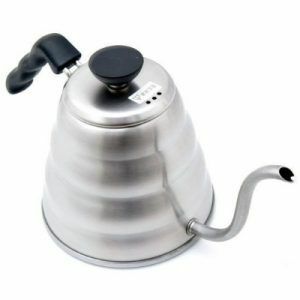 We do not sell the 3 cup, for this size we prefer the Hario V60. 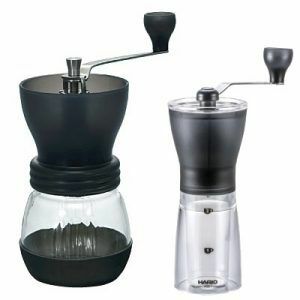 “The Chemex Coffeemaker was invented in 1941 by Dr. Peter Schlumbohm PhD. 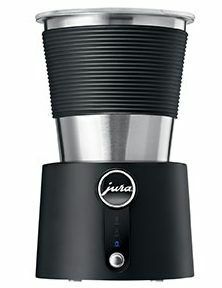 Made simply from non-porous, borosilicate glass and fastened with a wood collar and tie, it brews coffee without imparting any flavors of its own. On permanent display at MOMA NY and other fine museums, it is truly a work of art. “We are a family owned company with our headquarters located in Western Massachusetts. 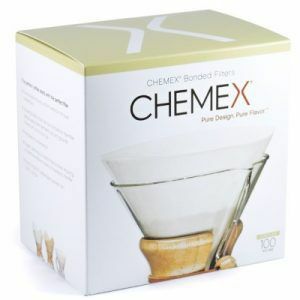 It is here that we manufacture the Chemex Coffeemakers, Chemex bonded filters, Handblown water kettle and Chemex accessories to be distributed worldwide.